While lack of sleep considered as a minor problem or something that can be naturally controlled, research has confirmed that there could be severe and possible health disorders that may hit individuals who have difficulties in finding sleep. Insufficient sleep instigates negative results in management and development of complications. It is for this reason that medics insist that a rational human being should sleep for a minimum of 8 hours a day. So, which are some of the signs that communicate chronic sleep disorders? • Difficulties in finding sleep- This usually comes as a result of taking regular naps during the day. • Short episodes of sleep- this involves waking up often and having problems falling asleep again. It usually occurs due to discomfort during sleep or related mental disturbances. • Waking up before the lapse of 8 hours- This often happens if an individual program himself/herself to sleeping schedule that is less than usual due to regular commitments. It could also be as a result of existing body disorders. • Feeling abnormally tired after waking up- This is usually so due to health complications, fatigue, and uncomfortable sleeping position. The above and other signs are considered as a sign of sleep deterioration, and therefore a trigger for significant body disorders. Chronic sleep disorder comes in two different stages. The first stage considered primary since lack of sleep, in this case, does not occur due to any health disorder. The second stage is where the lack of sleep comes as a result of existing health disorders including asthma, arthritis, cancer, and heartburn, among others. Both phases are regarded to be of negative impact towards management and development of health disorders. In other words, sufficient sleep is highly necessary if good health must be achieved. The truth is that there is a significant relationship between sleep and depression. Most people hold the perception that lack of sleep is a sign of distress. While this may be to an extent true, medical reports confirm that lack of sleep is more likely to spark depression as compared to the vice versa. Lack of sleep tends to fatigue the mind hence limiting it from operating normally. When the mind is in a struggling condition, there emanates a high likelihood of developing depression. Research confirms that if sleep apnea is adequately treated and normal sleep restored, bouts of depression are likely to reduce remarkably. That is because restoration of regular rest puts the mind in the state of peace and away from any form of struggle. In essence, it is highly necessary for individuals with the sleep disorder to undergo depression assessments and tests. That way, it will be easy for health specialists to implement the strategies required in mitigating the possible impacts that may emanate from chronic depression. From an anatomy perspective, the human body engages in metabolism more when asleep. A process of breakdown of fats in the body. The process facilitated when the body is at rest. In other words, there is a high connection between sleep and metabolism. In the absence of adequate sleep, the body is not able to break down fats, as it should. This increases the chances of body weight gain, equally known as obesity. On the other hand, when the body receives adequate rest during sleep, the process of metabolism takes place flawlessly. The body can effectively break down fats hence reducing chances of obesity. In a different note, it is believed that adequate sleep in adolescent and childhood is highly necessary for fostering healthy brain development. In the absence of good sleep, there is the possibility of adverse effects on a brain part known as Hypothalamus. That is the part responsible for regulation of appetite as well as energy expenditure in the body. Continued lack of sleep among the said population will, therefore, lead to a rise in appetite hence increasing chances of obesity. The manner in which the body conducts metabolism and energy consumption is a prime determinant of direction in which weight will take. Lack of sleep has been confirmed to be a significant pressuring factor on the brain. Considering that the brain is responsible for coordinating the operations of the heart, there is a likelihood of anyone suffering from sleep apnea to develop heart diseases. One of the immediate impacts of lack of sleep on the heart is an irregular heartbeat. Such a case is likely to spark significant risks on the heart arteries, hence prompting the possibility of cardiovascular disease. In a different note, Sleep Apnea has been linked with hardening and contraction of arteries. This implies that the heart is bound to strain in the process of transporting blood. Contracted and hardened arteries may not withstand blood pressure. In fact, the arteries stand the risk of bursting. In other words, cardiac arrest may come as a result of chronic lack of sleep. In a nutshell, individuals with bouts of sleep apnea should consider seeking the necessary medical assessments since it could be an indicator of possible cardiovascular and other heart diseases. Further research indicates that individuals who do not get enough sleep have less control over events and circumstances. Such people tend to be worried over things, especially those that do not have specific and precise outcomes. In essence, sleep apnea instigates a prime effect on the functionality of the brain, and that increases the possibility of anxiety. In instances of continued sleep apnea, anxiety may degenerate into other brain disorders including insanity. An observation made from a health perspective indicated that people with sleep apnea tend to be aggressive upon the slightest provocation since it is their mental status that is affected in the process. The vulnerability of people with Diabetes increases with the rise in sleep apnea. Similarly, the risk of falling victim of Diabetes type 2 is enhanced by the frequency of sleep one gets. In other words, lack of sleep tampers with the production of Hemoglobin A1c. The component responsible for the regulation and control of blood sugar. 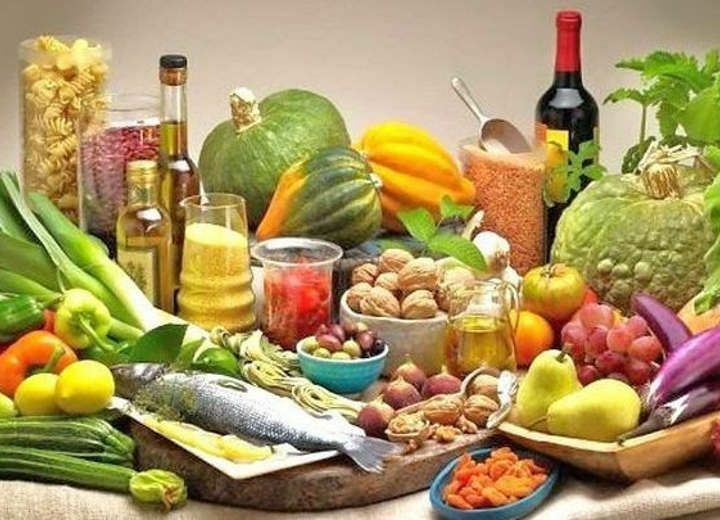 In its absence or deficit, there emanates the problem of managing and prevention of diabetes type 2. In summation, sleep apnea is a significant threat to health. It is therefore essential to ensure that you get enough sleep, preferably 7-8 hours a day. Doing so will provide standard body functionality. So, what can be done to treat or reduce chronic sleep disorder? • Avoid regular naps during the day- recommended that you work yourself out such that you are tired enough to catch enough sleep upon resting. • Avoid bedtime snacks- Caffeinated products are likely to deny you sleep hence the need to avoid them. It is also necessary to avoid taking snacks before bedtime. If you must eat something, do so at least 2 hours before bedtime. • Regular Exercise- Instead of leaving work and sitting down watching television, it would be ideal if you engage in exercise activities. This keeps your body relaxed and exhausted, hence ready for a comfortable, good night sleep. 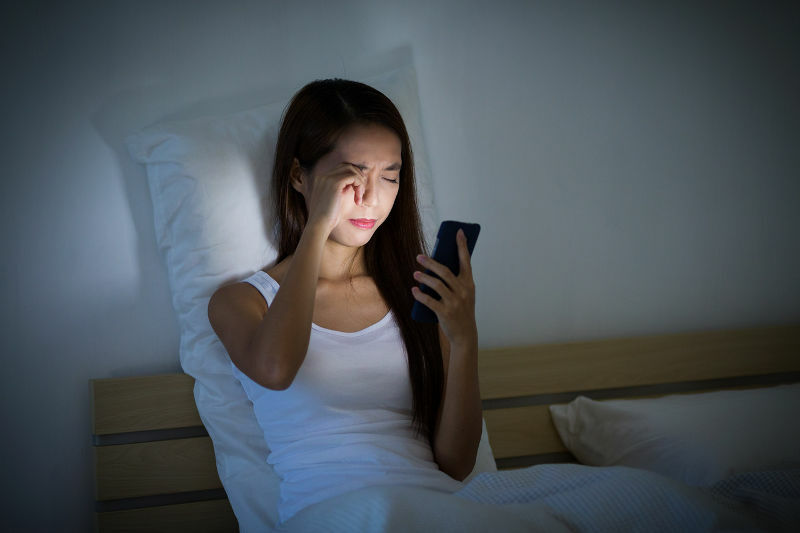 • Keep Off Blue screens- With the rise of digital gadgets, including mobile phones and tablets, science has revealed that too much exposure the light they produce is bound to affect sleeping patterns. It is, therefore, necessary to reduce the frequency of using such gadgets. • Keep the temperature in your bedroom at 17 degree Celsius- Research confirms that sleeping in an extremely hot or freezing room is bound to tamper with your sleeping patterns. Recommended that you keep your bedroom temperature at 17 degrees Celsius. • Avoid alcoholic drinks after taking your dinner.